I just got back from a good week in Seattle. My plan was to visit the DSL DevCon only, but it turned out that the cheapest option was to stay from Tue, 14th until Sun, 19th. I then had time to visit both Lang.NET and DSL DevCon as well as some friends in the area. Last time in Seattle (ALT.NET Conf) I was occupied with shopping only, but this time I also had a whole day for sightseeing. It was great! 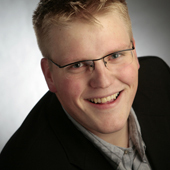 paulvick: I hope someday to be as funny as Gilad or Erik Meijer. I left with a superficial (limited brain capacity) overview over F#, Tcl/tk (Eagle), CodeContracs, JVM internals, Axum and Links. 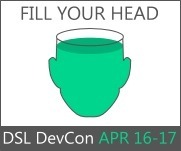 DSL DevCon (aka SellsCon) was initiated by Chris Sells. Both conferences were held in the Microsoft Research Building on their Campus in Redmond (close to Seattle). I don’t yet know what to expect from the DSL hype. People have been doing DSLs for decades, as they did SOA. But who knows which story marketing starts telling about DSLs soon. Still, I got my head filled up with lots of new useful information. Things I’ll have a closer look on will be Irony, F# and the Intentional Software. I’ll also follow up on all the good connections to super-interesting people. Was also nice to finally meet the Oslo guys Doug Purdy, Don Box, Chris Sells, Jeff Pinkston, Chris Anderson, Paul Vick and David Langworthy in person. I’ll write follow-up posts about what I learned as soon as I have time for it. I’m really tuned to see how our profession will evolve. I hope it will change dramatically. We need better processes, better integrated tools, closer communication of intentions and a significant productivity boost. I can’t believe that we will be able to create software so much faster. But, if our software wasn’t so closely tied to platforms and if it was written in a more flexible manner, so I hope, software could at least survive longer. Software is often dead born. That is, were our industry looses so much of it’s productivity. This entry was posted in Just Drops and tagged DSL, dsldevcon, LANG.NET, languages, mdsd, mdsd+.net. Bookmark the permalink. This is a negative only if the platforms are unstable. And why must the platforms keep changing?